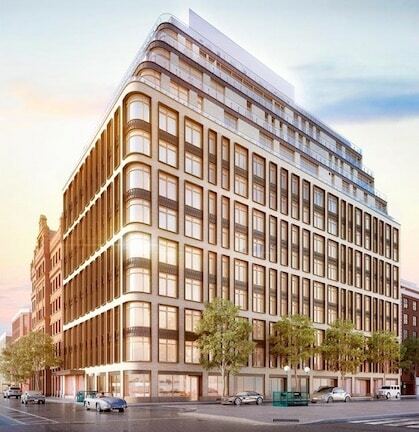 Brand New Beautifully Furnished 3 Bed/3.5 Bath Condo in a Full-Service Luxury doorman building located in prime Soho. 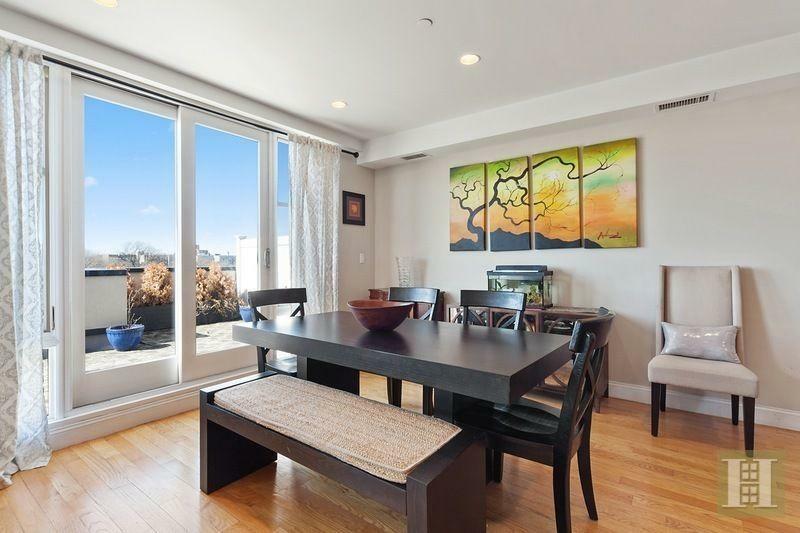 This stunning residence features open vistas to the East over Soho, North to iconic Midtown buildings and West across Vandam Street, this spacious 2221SF is a perfect home for entertaining and features dramatic and expansive windows throughout. A 30′ ft long Living room/Dining area with 10ft high ceilings has a west facing sliding window wall which opens up to a private terrace with views. The large eat-in kitchen with bleached walnut and matte lacquer cabinets, Bertozzoni cooktop and oven, custom paneled Lieberherr refrigerator, wine fridge and vented hood, features a stunning east window wall with a sliding door and Juliet balcony. The kitchen may be closed if desired from the dining area with sliding floor-to-ceiling blackened steel and etched glass pocket doors. The master bedroom has a windowed, en suite 5-fixture master bath with radiant heated marble floors and maple custom vanities. The master bedroom also features a large dressing area with custom Polyform closet.The second bedroom also features an en-suite bathroom. The building features a dramatic and sweeping landscaped outdoor terrace in addition to an impressive array of sun-filled amenities spaces, creating a private oasis for its residents. 24/7 Concierge, full-time super, and porter. Residents gym. 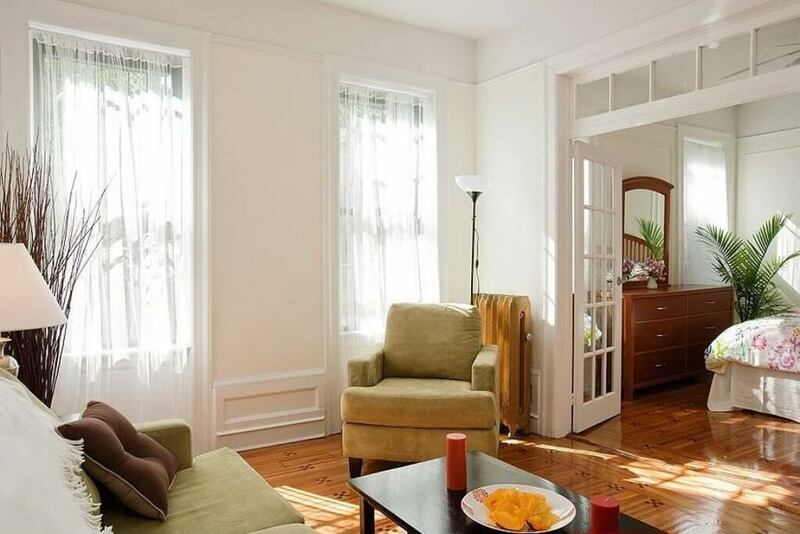 Located at Prince and Spring Streets in Soho, adjacent to the West Village and Tribeca, One Vandam is ideally located. Close to some of the best restaurants in the city including local favorites Raoul’s and Bar Pitti. 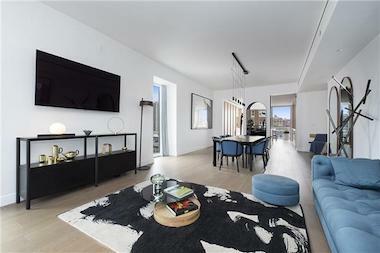 Easy access to Hudson River Park and much more makes living at Vandam the perfect retreat.